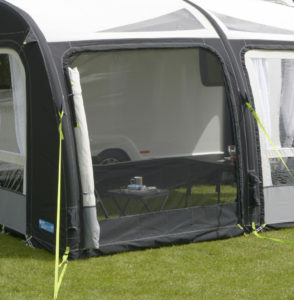 If you want a seasonal pitch awning that is just as easy to set up as our other inflatable awnings, then this is the awning for you. 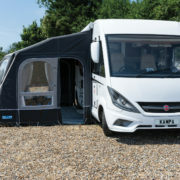 The Motor Ace AIR All-Season has been designed to be set up for extended periods of time and every component has been selected to cope with extremes of weather. 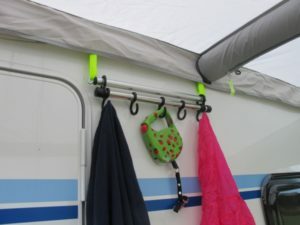 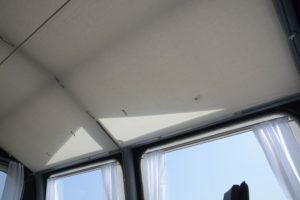 The Four-Season fabric has been tested in the sunniest parts of Australia to ensure that it’s suitable for use in this awning. 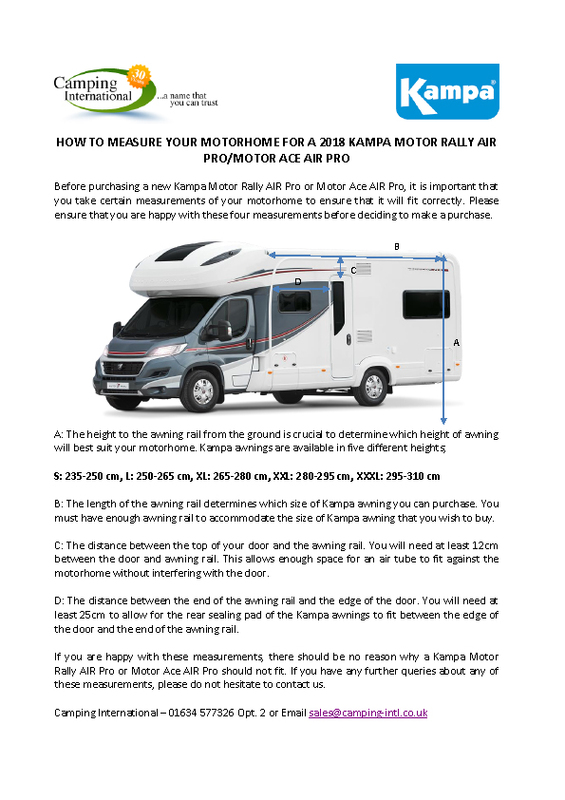 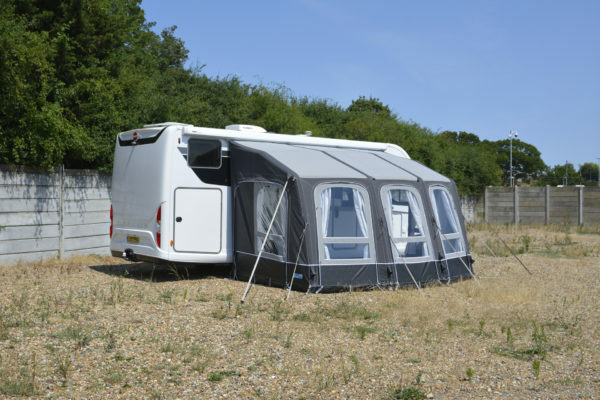 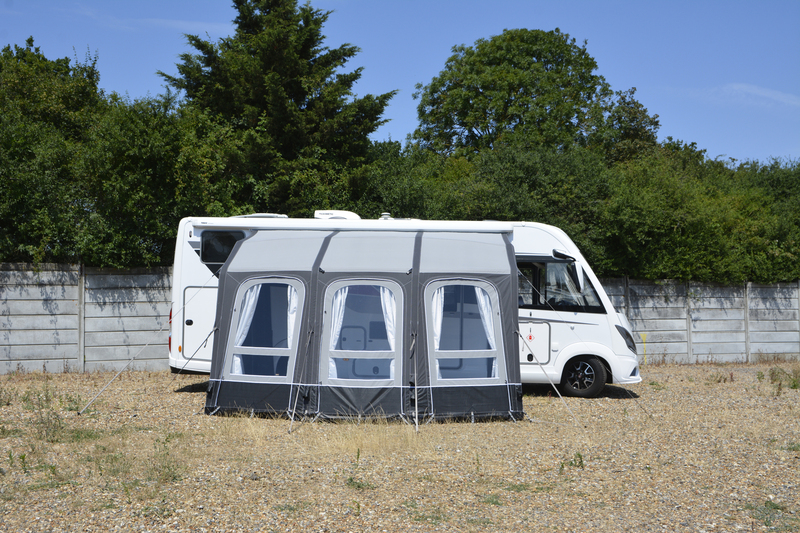 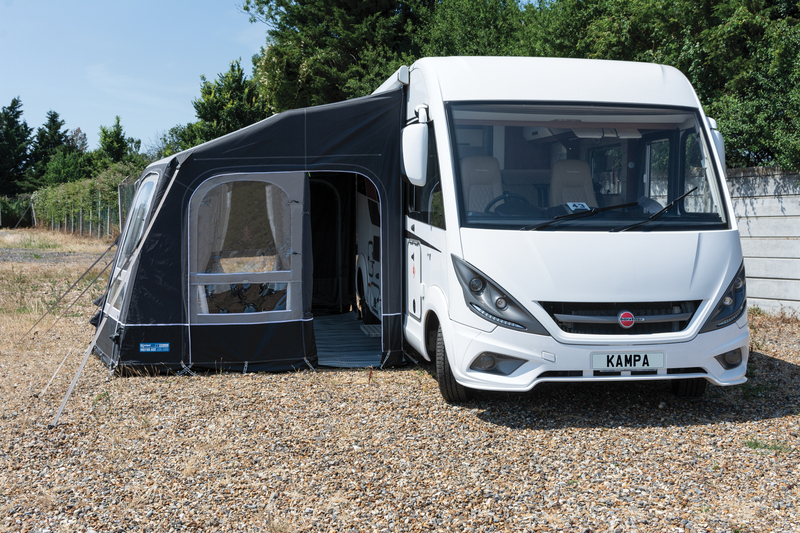 The Motor Ace AIR All-Season features Kampa’s latest Dual-Pitch Roof System giving you improved interior headroom and is constructed to ensure it stands up to the worst of the weather. 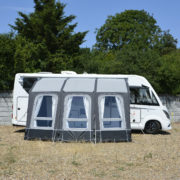 The Motor Ace AIR All-Season comes complete with a Storm Tie Down Kit as standard. 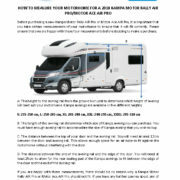 The total beading length is 400cm.